I'm sorry! Once you have been locked out from attempting to import a new card, you must wait the full 24 hours before you can attempt to import the card again. Please note that this lock is only put in place when incorrect online banking credentials were entered too many times, it is for security purposes and cannot be removed. You'll want to ensure your online banking credentials are accurate with your bank before trying to import your card again. If you're getting a message that the credentials you're entering are not correct, please head to your online banking portal to ensure you're currently able to log into your account. You may also want to contact your bank and check if there’s a temporary outage on their side that is preventing you from connecting your card to a third party like Expensify. For more information about setting up Direct Connect, please click here. If you have a Wells Fargo card, you might be getting this error message because your password exceeds 14 characters. You will have to reset your password to something under 14 characters before you can import your card to Expensify. If your card is already imported and your password is already under 14 characters, you might still need to update it on your end and use the “Fix Card” option to reestablish the connection. SVB also requires that you enable Direct Connect on their end before connecting to financial management software like Expensify. Please reach out to the bank and confirm that Direct Connect is enabled in your account. Please also note that when attempting to connect a SVB card, you will need to use your online banking username and the Direct Connect PIN rather than your password. Direct Connect will need to be enabled in your bank account before you can import your card to Expensify. 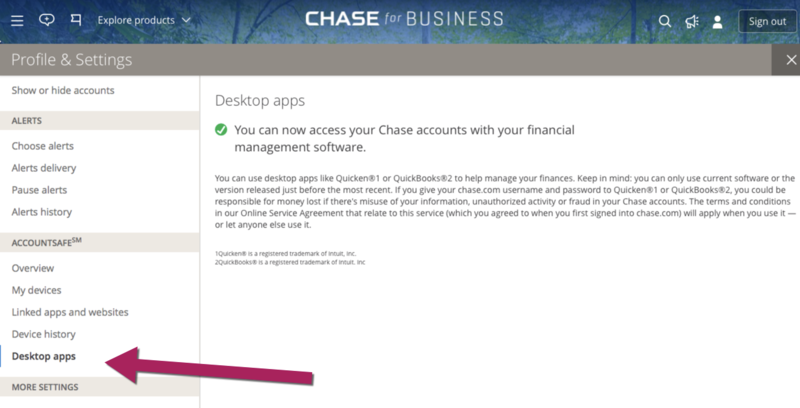 Please reach out to your bank to confirm if this option is available for your account, as well as get instructions on how to get this setup. This error message usually means that the bank account requires user action. Please head to your online banking portal and check if there’s an outstanding action that needs to be taken on your end and then try to connect the card again. Attention Amex cardholders: if you have multiple card programs for your Amex US Business account, before you can import them to Expensify, you will need to contact Amex and have them separate the multiple card programs to separate logins. As an example, you would need to have your Business Platinum cards under “username1/password1”, and Business Gold cards under “username2/password2”. If Expensify doesn't have a direct connection to your bank, we can still support the connection via spreadsheet import, which you can learn more about here. If the cards you're trying to import are company cards, it’s possible that you might be able to obtain a commercial feed directly from your bank. Please find more information on this here. Your card connection is broken because we're missing some answers to some security questions. Please head to Settings > Your Account > Credit Card Import and click Fix Card. This will require you to answer your bank's security questions. You will need to do this for each security question you have with your bank; so if you have 3 security questions, you will need to do this 3 times. This error message appears when you have been issued a new card, or if there's been a significant change to the account in some other way (password and/or card number change). When your online bank/card account password has been changed, you may need to update the details on the Expensify end as well. You can repair the connection from your web account, by following Settings > Your Account > Credit Card Import page if it's a personal card, or a Domain Admin will have to re-assign the card via Settings >Domain Control > Company Cards. If there has been a recent change to the card number, you’ll have to remove the card with the previous number and re-import the card using the new number. This can be done via Settings > Your Account > Credit Card Import if it’s a personal card, or a Domain Admin will have to re-assign the card via Settings > Domain Control > Company Cards. Before removing the card, please ensure all Open reports have been submitted, as removing the card will remove all imported transactions from the account that are associated with that card. Keep in mind that while you can successfully import a card that is not activated and/or doesn’t have posted transactions yet, the expenses will only appear in your Expensify account once they are fully posted and not in pending status with the bank. On that same note, company cards will only be available to assign to users once there have been posted transactions on the cards since the feed was imported to your Expensify account. This error message states that your bank is under maintenance and is unavailable at this time. Try waiting a few hours before trying to import your credit card again. Check out our status page for updates on bank connections, or you can also choose to subscribe to updates for your specific bank. The card will only appear in the drop-down list for assignment once it’s activated and there are transactions that have been incurred and posted on the card. If not, the card won't be available to assign to the card holder until then.